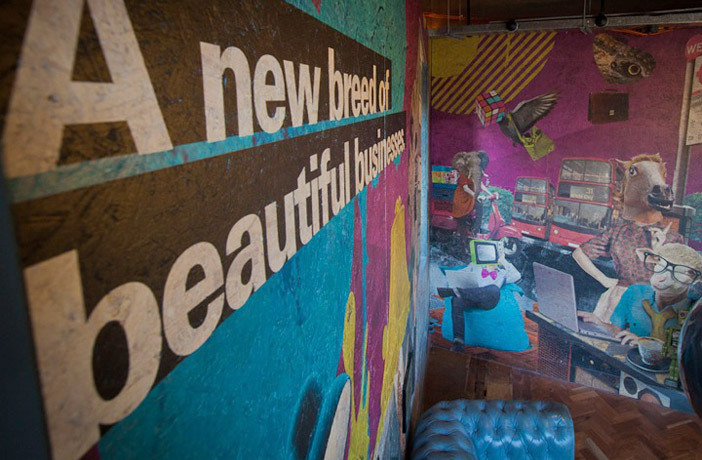 How do you turn a dated 4-storey concrete office block into a dynamic, creative brand and community, without knocking anything down? The old BBC building in White City had been vacant for 7 years, and its site was a developer’s dream – with property companies lining up to knock it down and create swanky flats in the desired West London location. But while residential developments were being built across London, the lack of affordable workspace for creative businesses was threatening London’s growth, innovation and reputation as a cultural hub. 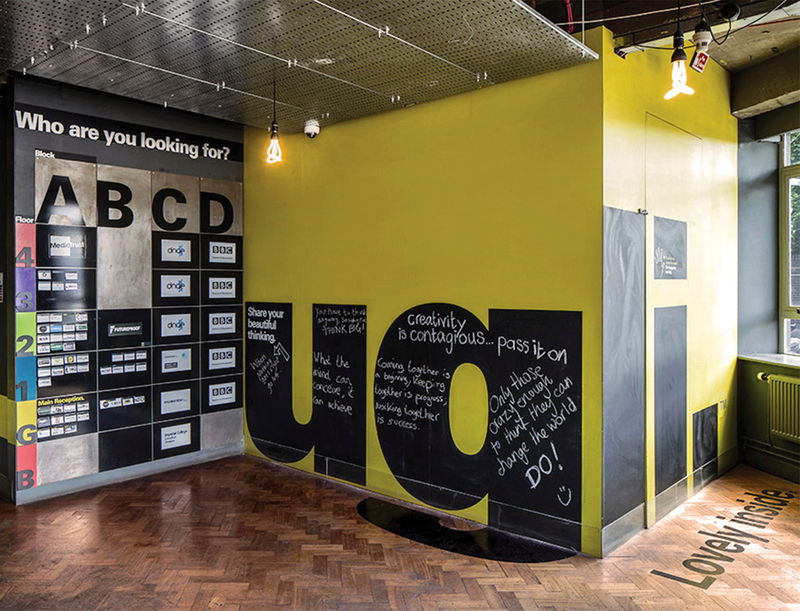 To us the BBC space was much more than a development site – it was an opportunity to create a community cluster for creative businesses. Alongside our real estate partners TCN UK, we researched and developed a brand proposition and business concept that would start the transformation of West London as a business community. Our Solution: We undertook extensive research to understand what the brand and business opportunity was. What did the market want? And how we could create all of this and more inside the shell of what was an old, lifeless building? Affordability was key, but perhaps even more so was the community that tenants wanted to be a part of. We developed a brand proposition and identity that stood out and represented our vision and values. And so was born UGLI. Rooted in the value of bold honesty, UGLI is a brand for our times. An authentic, honest and community-focused brand reinforced by its online presence LovelyInside.com. 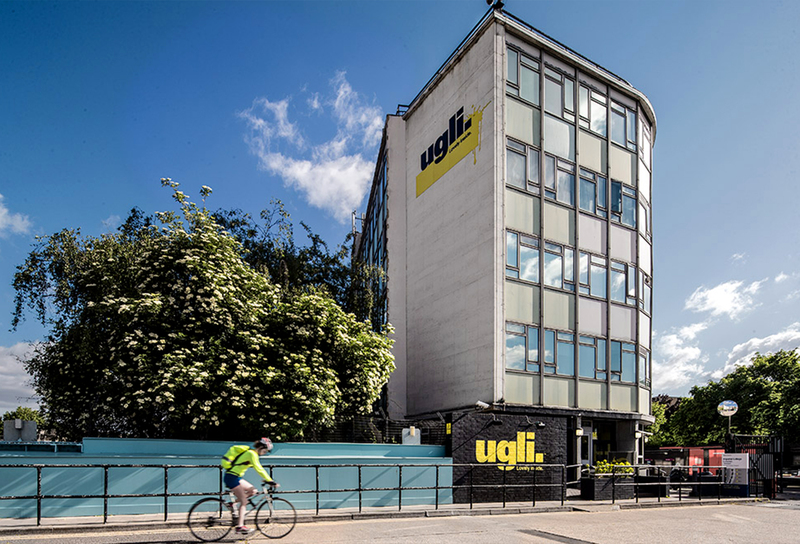 From the concrete sofa in Reception to the upcycled desks and rooftop terrace, you sense the UGLI culture as soon as you arrive. UGLI has built a very strong community with networking, skill swapping and collaboration at its heart. The Result: UGLI campus was full within 6-months of launch, welcoming a diverse scope of creative-minded businesses, from film producers, start-ups. charitable bodies, and graphic designers to caterers and everything in between. 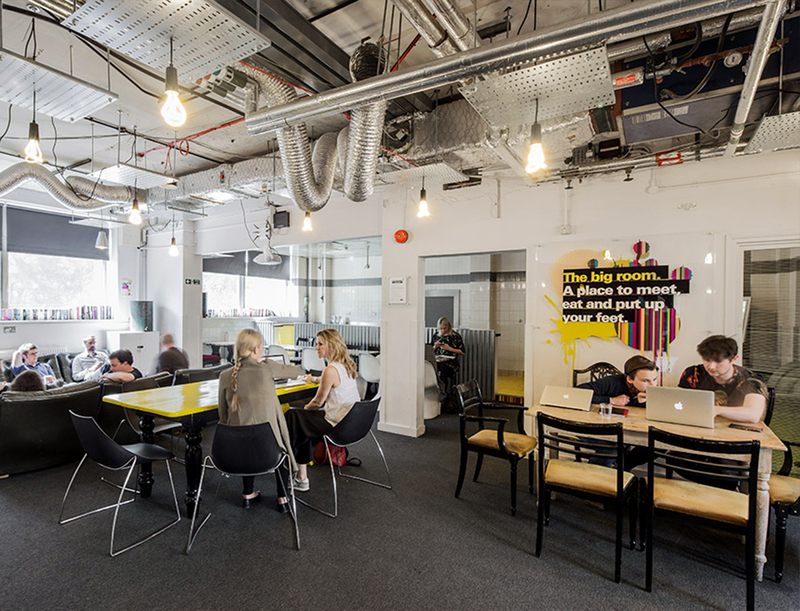 We’ve since been recognised for a number of awards including Best Shepherd’s Bush Business, Best Creative Business and Creative Industries Business of the Year and we continue to set the standard for creative co-working spaces in London, and beyond.. This project will be a fantastic boost to the creative industries in London. What’s so important about the development of this new creative cluster is the potential it provides for businesses to make new links with each other and take advantage of opportunities to collaborate.